Still pining away for the classic white and red Blazers, as well as the more sporty black Lunar Flyknits, I couldn't help but add another shoe to my current footwear wish list when I came across these babies. 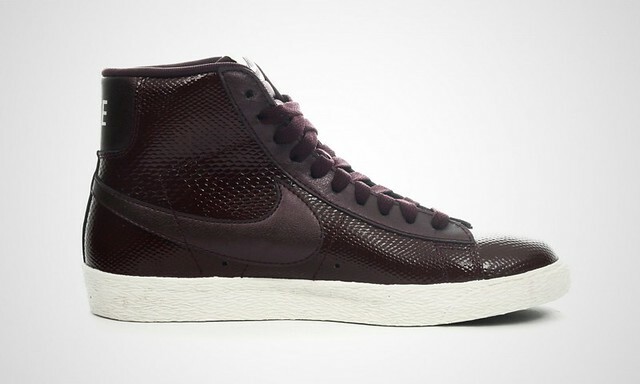 Shiny, sleek and modern, these sneakers keep it simple and timeless - just the way I like it - with the classic Blazer styling and deep, rich color, so perfect for fall. A subtle shoe amidst of-the-moment in-your-face neon, I could see living in these cool, urban trainers for the next few seasons.